Okay, so me and a few of my friends are doing a talent show try-out in 9 days to the song "You're the one that I want" from the song Grease; I don't know if you've ever seen this movie or heard this song but we are having a little trouble figuring out some dance moves for the third refrain of the chorus. Our dance style is a mix between ballet and modern day music. Thanks!!!! Comments for Good dance moves for our choreography. It's a little bit difficult to describe specific movements with words or to make suggestions to your choreography without knowing what you have done already. 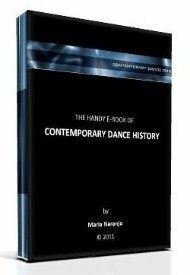 -Repeat the movements of one of the refrains you've already choreographed, but changing the fronts of all dancers. -Same thing, but what you change is their distributions in space (do two lines, a circle, a square, an irregular shape or whatever). -Same thing, but do a canon (for example, when every dancer starts the same phrase but every two counts or the amounts of counts you choose). -Take a movement from the first refrain and another from the second and do a new collage of movement, changing orders or rhythm. -Remember turns, jumps, going to the floor, paths crossing scenic space (walking, running...). -If you are a group, you can also divide the choreography into smaller groups, or just two groups. One group makes the choreography of the first refrain while the other makes the choreography of the second refrain, during the third refrain... and so on. Without the need of creating more new dance moves, you can compose a great choreography that is made out of variations of what you already have. This has always been a strategy used in dance composition, which happens to give your piece a choreographic identity as well. I hope this gives you some ideas. Don't hesitate to ask back. I'll be happy to know how you get on!